Rarely should you need to create a new customer in Magento 1.6, however, you can easily do so if needed. 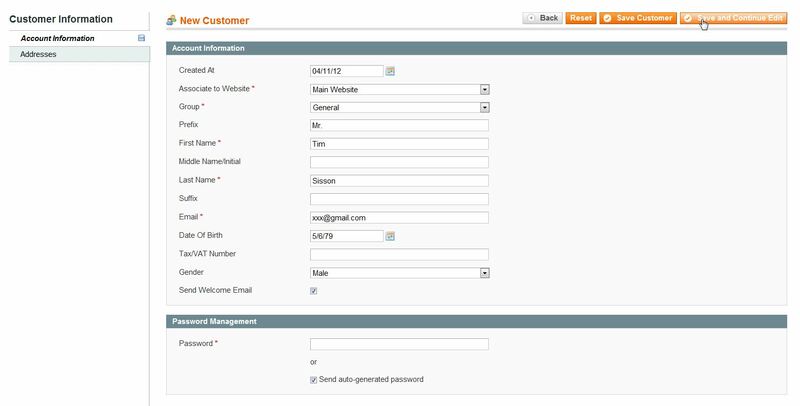 A new customer can be created at any time in the Magento 1.6 Admin Backend. Once the new customer account is created the user can then log into your Magento store. 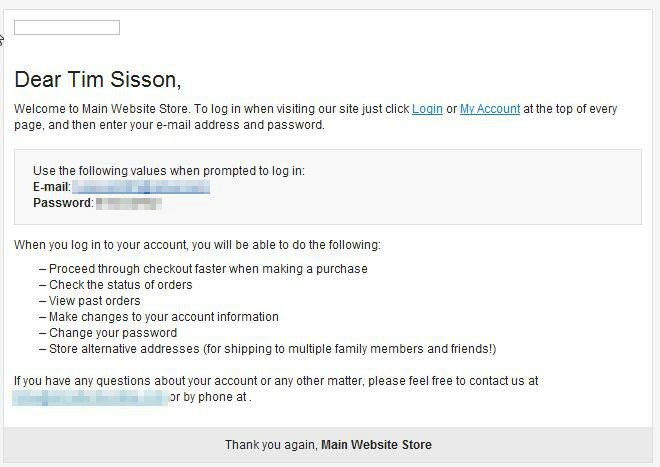 As long as you checked the box "Send Welcome Email" your newly created customer will receive an email like the one below. It will contain their log in information so they can access your website. When I create an account on the backend - It duplicates when I add the address - do you know why this is happening? I recommend enabling error reporting as it may provide a more detailed message. While creating a new customer from Admin, the checkbox 'Send Welcome Email' is not Selectable. Should check/make any changes in System configuration etc? This is disabled if you have set the Associate to Website field to Admin. Be sure to to associate the user to the main website.